Cheryl is a partner who specializes in complex commercial litigation with a concentration in construction related litigation and arbitration. In addition to litigation, she has extensive experience representing construction clients in all phases of the project, from negotiating and drafting contracts and other project documentation to addressing issues as they arise during construction to post construction dispute resolution. She is well versed in construction lien law for both public and private projects. Cheryl consistently achieves successful outcomes for her clients; she recently obtained a multimillion dollar judgment for a construction client after a more than 5 year arbitration. Cheryl’s expertise in construction law is complemented by her rich background and extensive experience in employment litigation and counseling, title litigation, banking and securities litigation at other regional and major national law firms. Cheryl received her Bachelor of Arts degree from the State University of New York at Buffalo and her law degree from Hofstra University School of Law. She is admitted to practice before the State and Federal Courts of New Jersey, New York and California and before the 3rd Circuit. 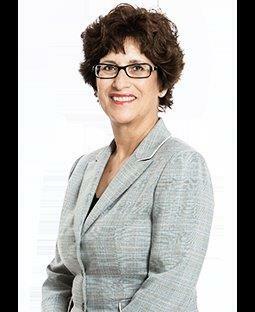 She is a member of the New Jersey State, American and Essex County Bar Associations. Cheryl is fluent in Hebrew.